Amsterdam, Jan Rieuwertsz., 1672. 4to (202 x 155mm). pp. 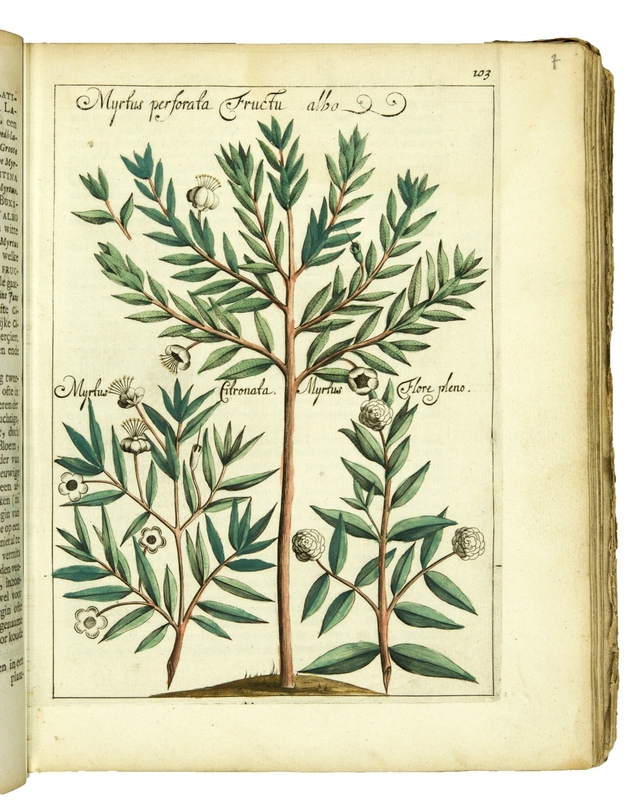 (72), 1- 100, (8), 101-209 (9), 211-652, (38), with a hand-coloured engraved allegorical frontispiece and 39 (of 40) engraved plates of which 38 hand-coloured. 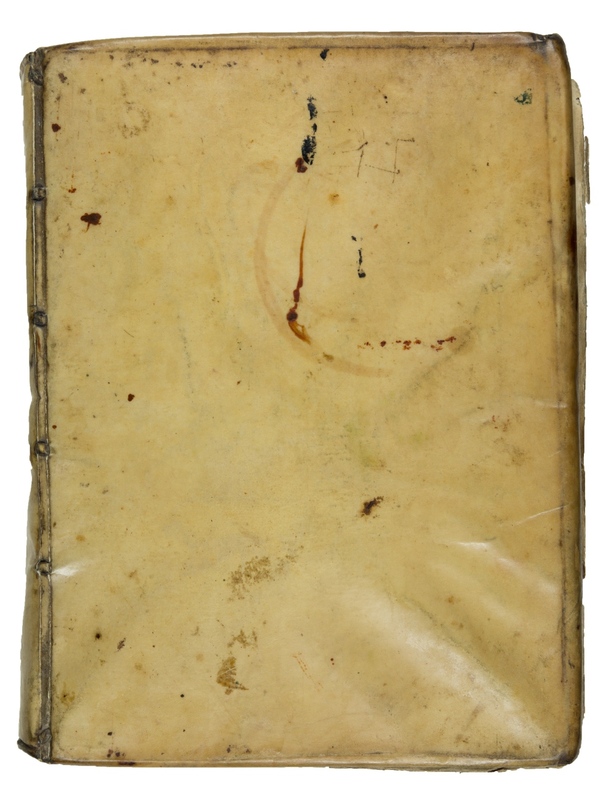 Contemporary vellum. 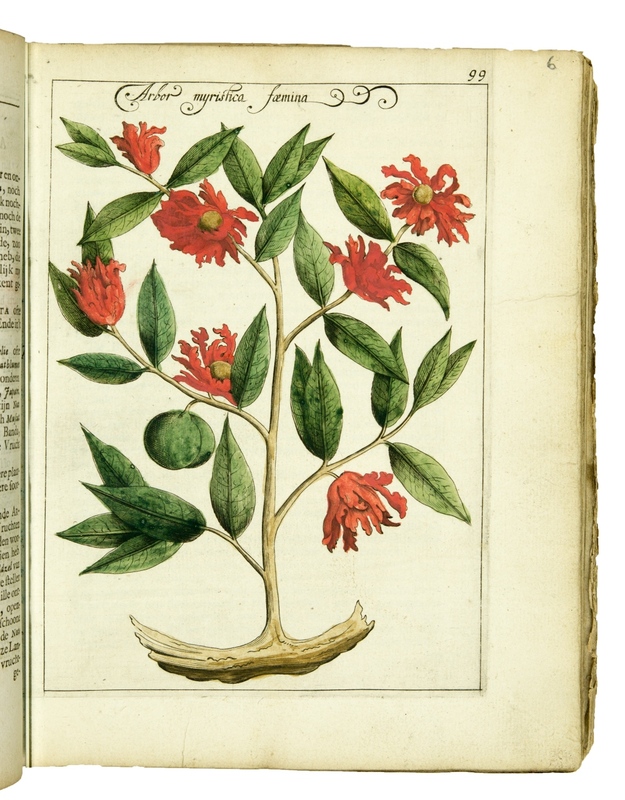 An incomplete but rare contemporary coloured copy of the first edition. 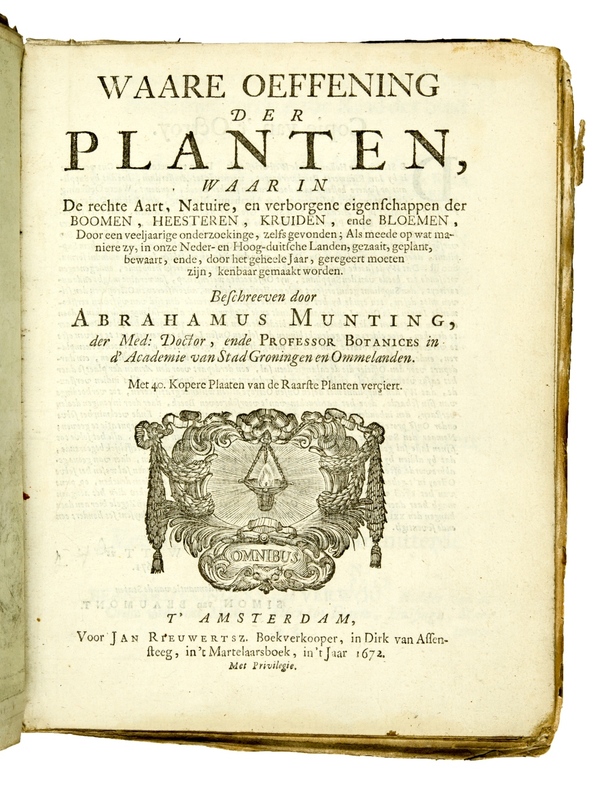 Abraham Munting (1626-1683)was the son of Hendrik Munting, who had founded in 1642 a botanical garden situated within the fortification circuit of Groningen known as the 'Paradise of Groningen', with its hothouses and forcing frames. 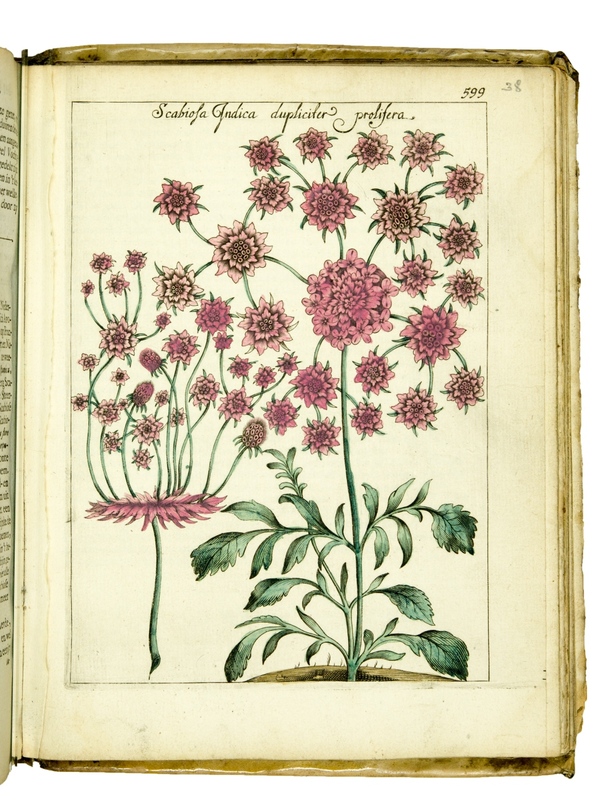 It was famous throughout Europe and a place of horticultural pilgrimage. 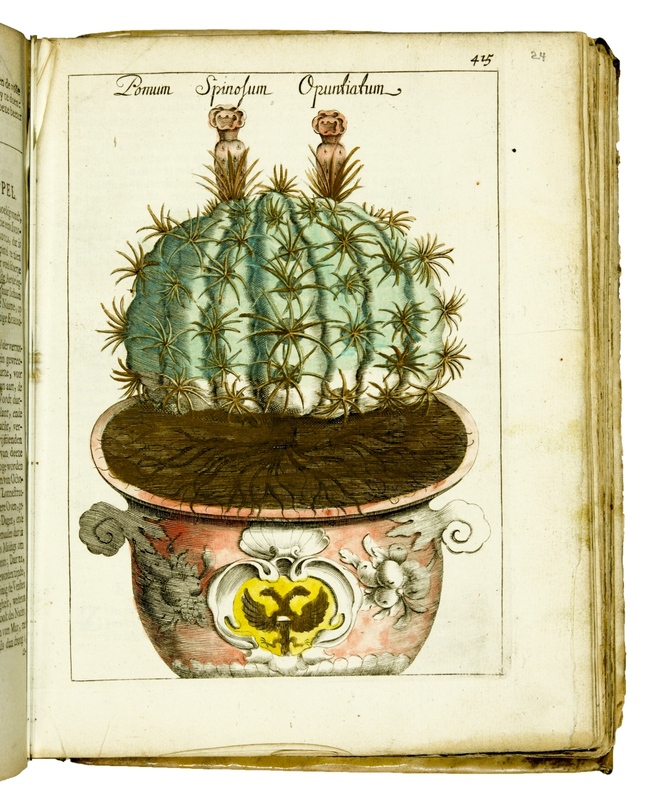 His son, Abraham, director of the garden from 1658 greatly enlarged the garden. 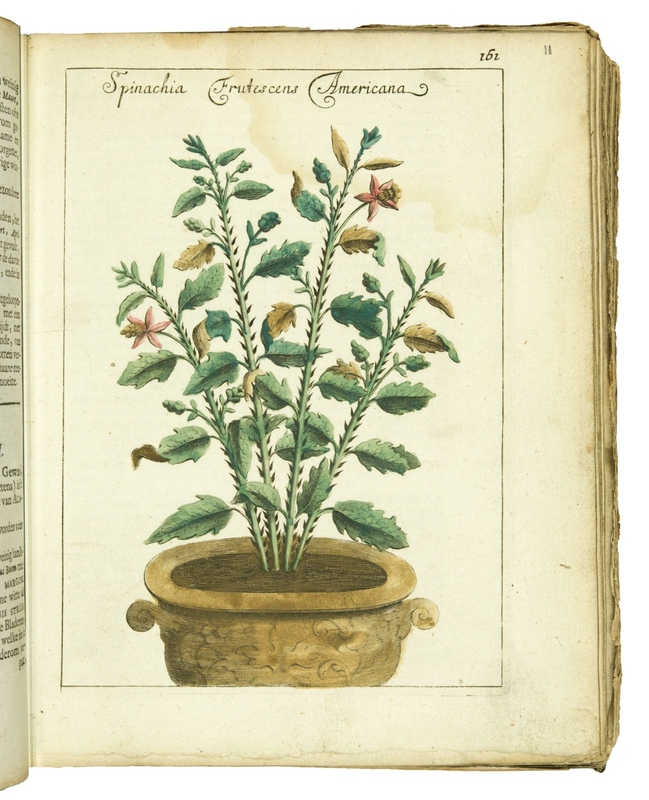 The 'Waare oeffening der Planten' describes to a large extend trees and plants of the garden. 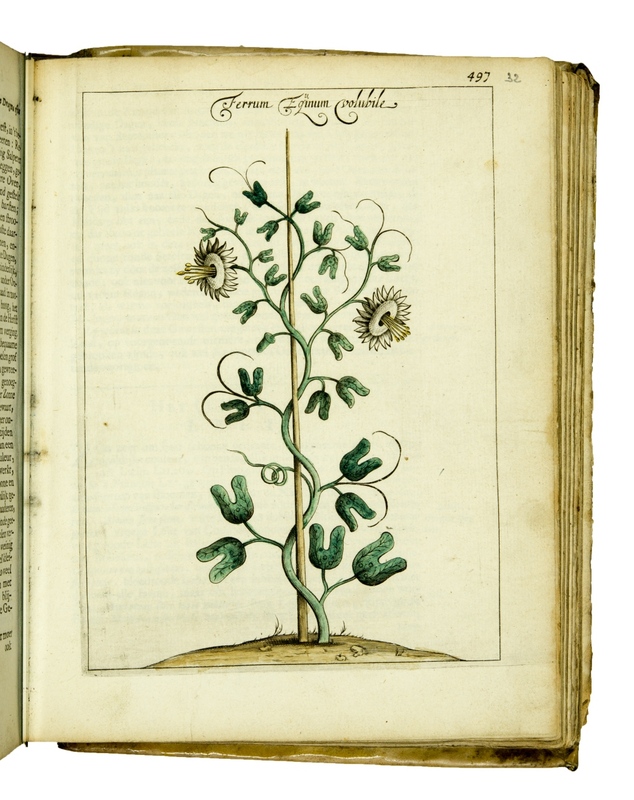 The work was expanded to a folio format adding new text and plates and appeared in Dutch 'Naaukeurige Beschryving der Aardgewassen' in 1696 and Latin 'Phytographia curiosa' 1702. Lacks last plate Volubilis Marina Folio Cordato. Some occasional light damp-staining Nissen BBI, 1430.